YMCA will offer free child care services on Election Day. 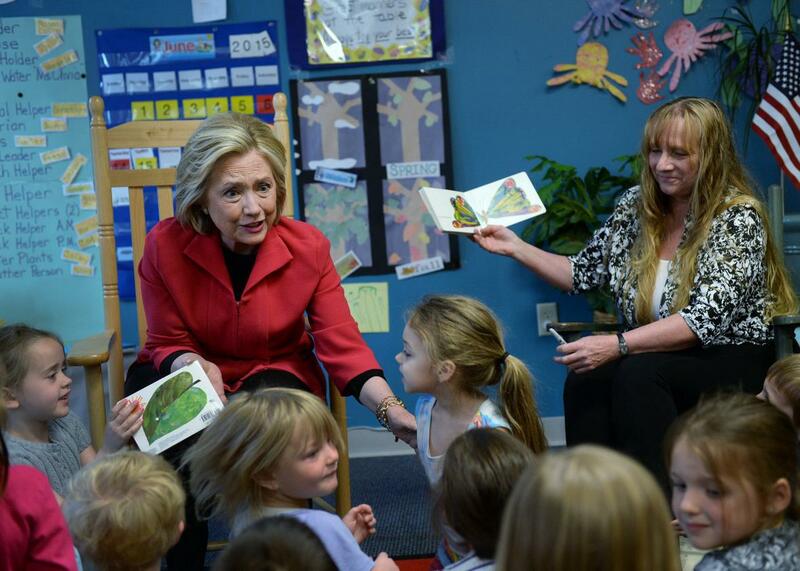 Hillary Clinton reads The Very Hungry Caterpillar to a pre-K class at YMCA of Strafford County, New Hampshire, on June 15, 2015. The YMCA wants to help busy parents turn out on Election Day. As part of a national Initiative, some branches of the Y in select cities nationwide will provide free child care services on Nov. 8 while parents go to vote. Zoe’s Kids Day Out, as the program is called, is an extension of the Y’s larger Zoe for President initiative, which encourages donations to provide children like 1-year-old Zoe, the face of the campaign, with the resources and support that will allow them to grow up to run for president one day. The service is not available at every YMCA, and some may charge a small fee to nonmembers. To find out if your YMCA offers the service, call your local center directly. The service could be particularly helpful for single mothers, a rapidly growing and primarily Democratic demographic. According to a May 2013 Pew Research Center analysis of data from the U.S. Census Bureau, 40 percent of households with children under 18 include mothers who are the sole or primary source of income, a marked increase from the 11 percent in 1960. And of these so-called “breadwinner moms,” 8.6 million, or 63 percent, are single parents. For parents without access to affordable child care, a trip to the polling place might involve attempting to subdue impatient toddlers then managing to watch them while filling out a ballot. Thanks to the YMCA, some who may have chosen not to deal with those headaches will make a different decision next week.